According to sources speaking to All Things D’s Kara Swisher and Peter Kafka, Yahoo has met with Hulu to hold early talks about a potential sale of the online video giant. The timing of the talks is not a surprise; Yahoo’s attempts to purchase the French video portal Dailymotion were scuttled by the government of that country. 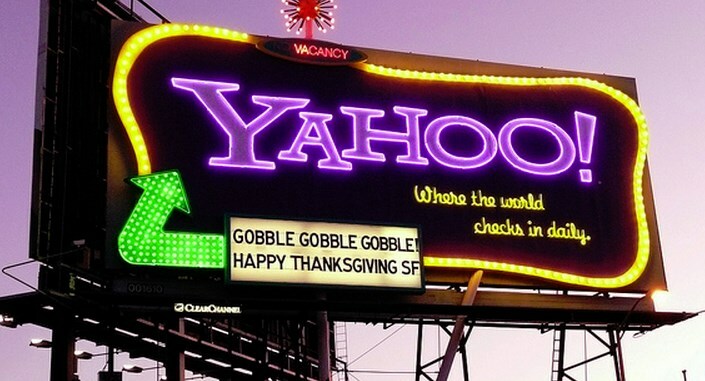 Quite obviously, Yahoo still has hunger to grow its video business. Hulu would certainly be a key pick-up for the company as it looks to reignite its business. Hulu has mobile applications for its premium subscribers, making the company a better fit than you might think at first blush; Yahoo has stated publicly that it intends to become a mobile-focused firm. According to All Things D, the two companies are in the very early stages of a potential deal. Yahoo CEO Marissa Mayer and its COO Henrique De Castro attended a long off-site meeting to become better acquainted with Hulu. Any company looking to build their profile in video content across platforms would do well to purchase Hulu, provided that they can make the math work. Hulu would not be a cheap pickup. A recent sale of 10% of the company’s stock summed $200 million, valuing the firm at $2 billion. The talks failed. That $2 billion figure could be low, given Hulu’s $420 million 2011 revenue. Whatever the case, Hulu is no small pickup. And, given its potential center location in the video Internet, its owners may be loath to fully wind down their stakes in a company they initially financed. According to Reuters, Hulu had revenue of roughly $700 million in 2012. Yahoo is not the only company sniffing around Hulu. However, if it it does pick up the video company, it will fundamentally change the online video landscape, and put Yahoo into competition with a host of new firms.